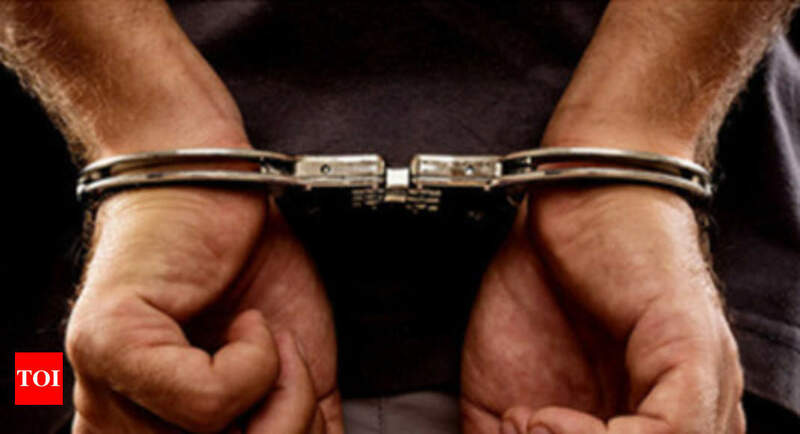 NAGPUR: A teen has been arrested for allegedly trying to appear as proxy candidate for Maharashtra State Board’s HSC and SSC examinations using fake identity cards, Nagpur police said Tuesday. Two agents, who scouted for students willing to pay for such proxy exam writers, were also arrested, an official said. “Aman Motghare (19) used to make fake student identity cards and then appear for exams on behalf of others for money. Agents Atul Awasthi (35) and Chandrakant Mate (36) used to help him in the racket. The fourth accused is a minor student and has not been arrested,” Inspector Parag Pote of Jaripatka police station told . “They were planning to employ the same modus operandi for the Maharashtra State Board Class X and XII exams currently underway. However, we managed to nab them before that. But they have done so in earlier years,” Pote said. They were arrested on Monday night with answer sheets and fake identity cards, he said. Motghare, Awasthi and Mate have been charged for cheating under relevant sections of the Indian Penal Code and the Maharashtra Prevention of Maharashtra Prevention of Malpractices at University, Board and Other Specified Examinations Act, he said. They have been remanded in police custody till March 16, Pote added.